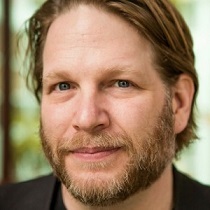 Today we have a great interview with Chris Brogan. Chris and I used to work at the same company (bcgi, now XIUS) about a decade ago. At the time we were working together, he was a Sr. Project Manager with what looked like an interesting career in technology ahead of him. However, soon after I took the entrepreneurial plunge, Chris did the same. During this past decade I have seen Chris reinvent himself and his business at least a dozen times – to much success and notoriety. Which brings us to today’s topic. [Marco] Hi Chris. Thank you for taking the time to speak with us. Let’s dig in and let me start the interview by asking, how many companies do you own at this point? Can you tell us a little bit about them? [Chris] All my companies are tied under one brand finally, Human Business Works. Through that, I’m selling online courses, booking speaking, and have just launched a digital business magazine called Owner. [Marco] About a decade ago you worked in the telecommunications industry. You were well respected, had a great track record, good contacts and would probably be a VP, SVP or GM of “something or other” by now. However, you decided to take a risk, leave the company and start a business. Why? [Chris] There’s a great saying that our mutual colleague Damian Arrondo taught me, the English translation is roughly this: “Which would you rather be? The backside of the lion, or the head of the rat?” I’d rather be the head of the rat instead of the kept employee of some organization. [Marco] If I recall correctly, at that time you took the entrepreneurial plunge had a young family and a mortgage. Making a transition to entrepreneurship at this stage in life with all these responsibilities is something that many folks are scared of. How did you plan your transition? [Chris] The trick with going entrepreneurial is to preserve your salary the whole time. This makes it a lot harder, you see, but that means that people who don’t exactly have a way to help the outcome (your family) won’t suffer when or if you fail. I’ve paid myself every step of the way. Modestly, but I’ve never gone without a check, even when the revenue was a bit dicey. [Marco] So this means there was a time where you were working both a job and a business. What was your first business that provided the income to make the transition? And how long did it take you to earn enough to make the jump? [Chris] I’ve almost always had more than one pursuit going, even before they were jobs. The first time I worked completely with an entrepreneurial bent was when I left my wireless telecom job and worked with Jeff Pulver for two of his companies: Video on the Net (a conference) and Network2 (an Internet video startup). From there, I always had more than one role going at a time. The transition to my own salary came after launching New Marketing Labs with The Pulse Network, and eventually breaking off and running Human Business Works. [Marco] What would you say where your biggest challenges when you were starting? How did you resolve them? [Chris] I didn’t have the foggiest notion how to create revenue in the early days. I knew how to earn attention, create excitement, and say helpful things. But I hadn’t figured out how to cap that with actual money. It took me a few years of experimentation to find ways to be worth someone’s money. I resolved them by lots of trial and error, and by constantly asking what my buyers needed. [Marco] One thing that has always impressed me about you is that you are always re-inventing yourself and coming up with new concepts. Your projects have span the gamut and include launching PodCamp, a T-Shirt idea, The Great Big Small Business Show, Consulting, Books, Speaking, Blogging, Human Business Works, and your soon to be launched magazine. And I am sure I am missing a few… What is the impetus behind this constant project creation and reinvention? The surprising answer is that all of those things relate. They are just parts of an ecosystem that’s not immediately obvious. PodCamp was an idea that said we could all learn faster if we accepted that everyone had something to bring to the picnic (Improving worth by growing capabilities and connections). The tee shirt idea was quick money, so not as obvious. The Great Big Small Business Show (part of a network of content I created) showed my first efforts at getting lots of people to participate in a project to grow others (Improving worth by growing capabilities and connections). My consulting and books and speaking were all about that exact theme, simply told in many different words (I’m going to become even more redundant). And now the magazine is that as well. I believe this: if we grow our capabilities, we have more to offer. If we grow our connections, we have the path to a network where we can offer it. [Marco] For example, what was the genesis of the new magazine you are about to launch? And also, why launch a new project and position yourself as a magazine editor when you already have other well established and successful projects? [Chris] The magazine is a way to get many other great players into the experience. My site, chrisbrogan.com , is wonderful, but it’s my name. Everyone can be an owner. I’ve launched OwnerMag.com so that people can participate and claim themselves to be owners. [Marco] Coming up with new ideas is a struggle for many entrepreneurs. Most folks are lucky if they have a couple good business ideas in their lifetime. Do you have a strategy or model that you use to develop all these new concepts? [Chris] I never run out of ideas because the community I serve never runs out of challenges. I could drop everything I’m doing right now and launch something else without even thinking about it because people will always have challenges they need solved. [Marco] This is an aha! moment for me. So the great community of readers that you have built is not only a source of potential revenue (by buying or recommending of your products), but they are also a source of business inspiration? Do you have a process to get insights/business ideas from your network? [Chris] I think we received a horrible lesson a long while ago when Ford said that if you asked people what they wanted, they’d say faster horses. Though he’s right that innovation rarely comes from the community, what the masses give me in droves are real challenges that they face. If you innovate in a vacuum, you risk becoming irrelevant. If you work solely from the community space, you fail to find the mindset to create from your vision. It, like many things in life, is a delicate balance. [Marco] And with some many ideas – how do you determine which ones to pursue? [Chris] I look at ideas that generate the most potential revenue with the least amount of super hard lifting and the fastest ramp to earnings. Meaning, if I have an idea, it’s not likely to be something that takes three years to complete, millions to get there, and no feedback until the launch (aka a movie). Instead, I’ll put something out immediately (a YouTube video), see what bites, and sell something simpler. That’s the method I follow: in fast, in early, fix until it’s valuable. Make the people part of the process. Repeat. Profit. [Marco] One challenge with re-invention is that it doesn’t work always. Most entrepreneurs know that the success rate in our line of business is not the best in the world. How do you handle the inevitable duds? [Chris] I think it’s how one measures success. If a baseball player strikes out, he just goes up to bat again. Entrepreneurs who have a failure and then brood are like baseball players only play once a season. The more times you get up to bat, the more chances you have of succeeding. And to me, success means saying yes to what I want and never having to say yes to what I do not. [Marco] One last question. How do you manage all your ongoing projects and time commitments? Do you have an insane work schedule or do you have an organization behind you? And if you have an organization, how does it look. [Chris] I work very hard on my own. I do have two employees, a chief operating officer who handles all the grown up work (invoicing and finances and stuff), and a special projects coordinator who mostly handles my calendar and follow-up for various events I participate in for work. That’s it. The rest is me. Do I have a system? Yes. Serve the community. That’s what I do. I create – which serves. I answer and respond – which serves. I show up – which serves. It’s easy when that’s your measurement of effort. Chris, Thanks for taking the time to talk with us. Chris Brogan is the founder of Human Business Works, the publisher of Owner magazine, and a well known blogger on subjects of social media, content creating and reinvention. You can follow him on twitter @chrisbrogan.